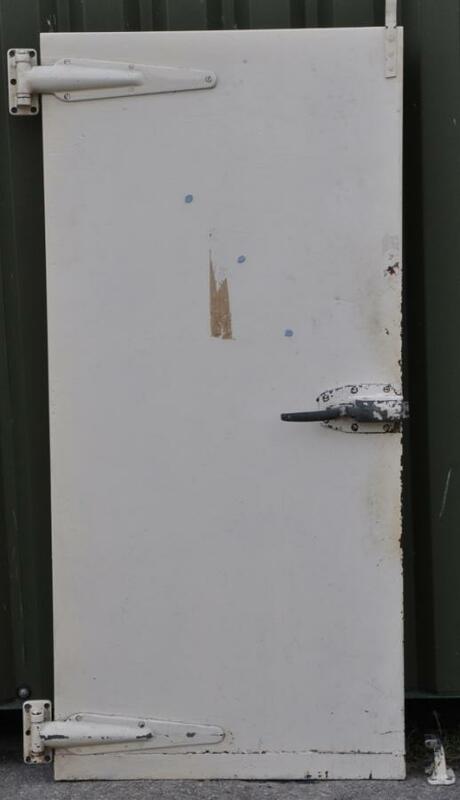 A vintage cold store door, hinges and latch. Large and heavy duty hinges and latch. The door can be used or discarded to just use the ironmongery. Dimensions in inches/cms; Door-58/148.5 high ,27.5/70 wide, 4/10 thick. (Door is rebated-the inside dimensions are smaller) Hinges - 15.75/40 wide x 5/13 max height Latch approx 12/31 wide x 3.75/9.5 height. 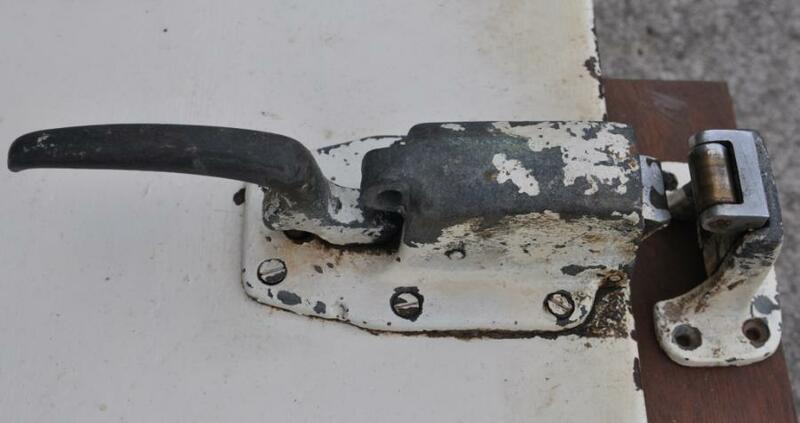 The latch can be opened from the inner side of the door.